Seller will give you a gift certificate in the amount of 3,79 RUB for a positive review of the product purchased. 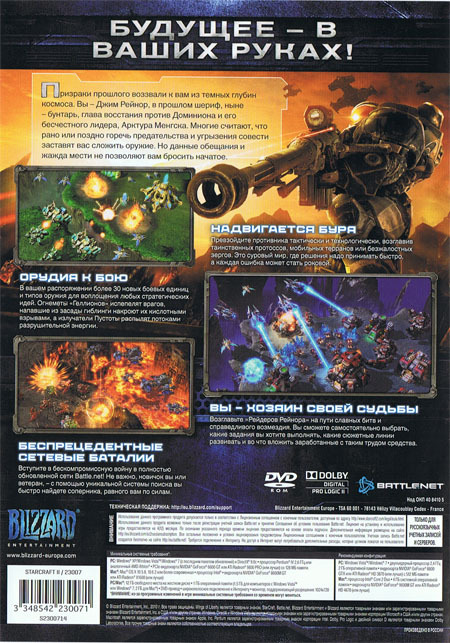 Paying this product you will get IMAGE license key from the box of the game "StarCraft 2: Wings of Liberty" (Russian version), from the company "1C-SoftKlab" to activate the "Battle.net". 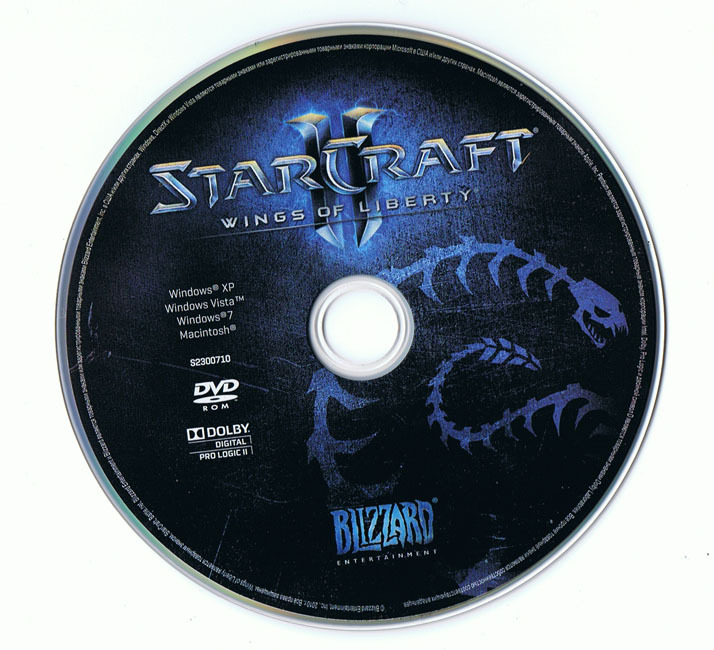 StarCraft II - continuation of the epic saga of three powerful races: Protoss, and Zerg terrans. 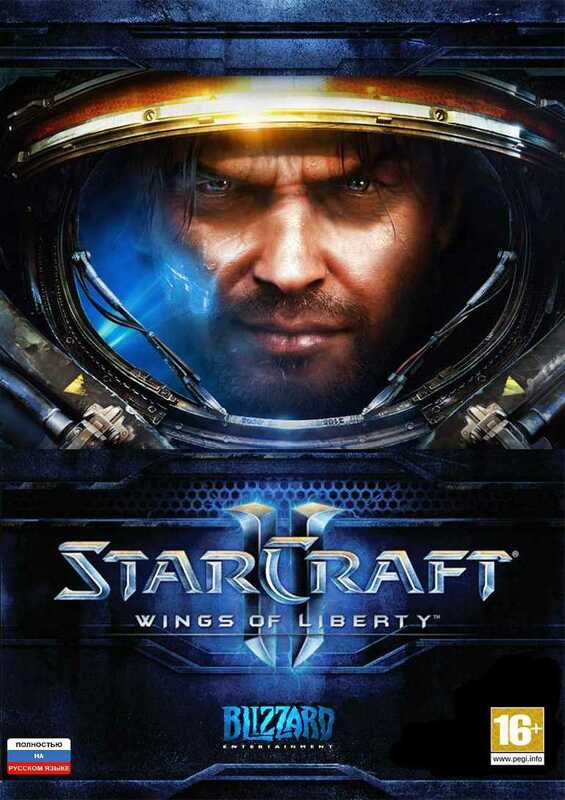 They will again come together in battle in the new strategy in real time, the continuation of the legendary game StarCraft. In this brutal struggle for survival in space at your disposal will be a new combat units, and the old, with extended capabilities. The great single-player campaign, the story is conceived as a direct continuation of the story «StarCraft: Brood War» («StarCraft: Brood War"), and you are waiting for new heroes and familiar faces. This exciting science fiction, full of adventure and intrigue. 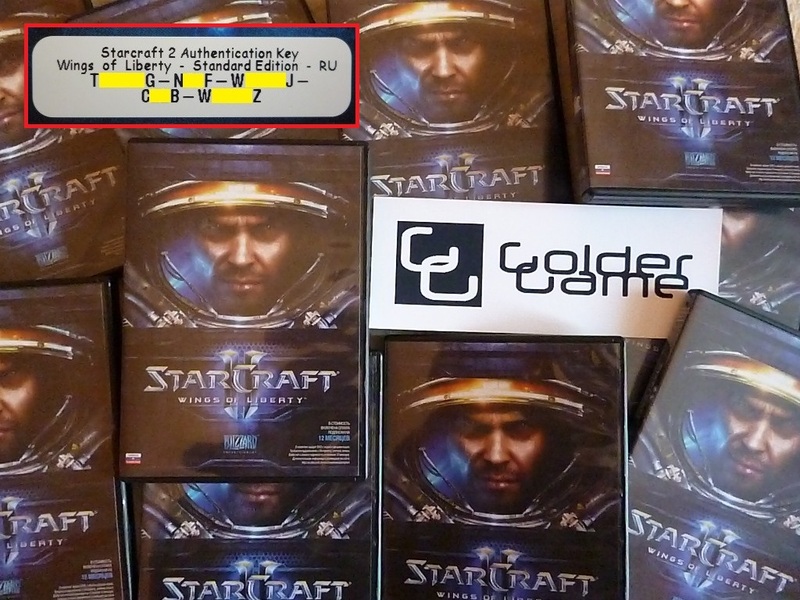 Also play in StarCraft 2 can be, as before, through the portal Battle.net - Blizzard specially designed system of online games, became famous around the world. With significant upgrades and new features Battle.net StarCraft II will, undoubtedly, the best game in the history strategies in real time. The style of the game depends on the player: everyone chooses what tasks to perform and which to explore technological improvements. Users are encouraged to campaign, consisting of 29 tasks, as well as several mini-games and test mode, in which novices can get comfortable with the basic techniques of network games. We are pleased to announce this addition to the game - "StarCraft 2: Heart of the Swarm"
All products are issued immediately after payment! Seller will give you a gift certificate in the amount of 3,79 RUB for a positive review of the product purchased..